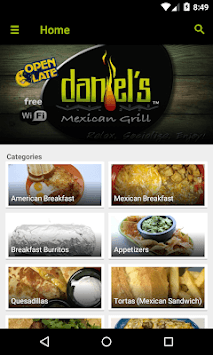 Daniel’s Mexican Grill is a restaurant situated in Reedley, California. 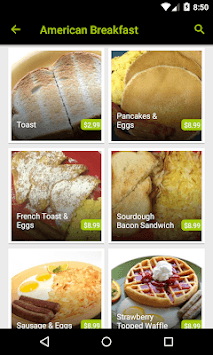 Which offer wide variety of food items and beverages to it's customers, at reasonable prices. Daniel’s Mexican Grill serve a wide variety of food products such as, American Breakfast, Mexican Breakfast, Appetizers, Tacos, Burritos and Soups. Not only that, we also offers an expanded selection of Beverages and Desserts. ​We’re serious about serving great food—and great food begins with the highest quality ingredients. Our team go great lengths to ensure that only the best food and beverages wind up on our guest's plates all the time. 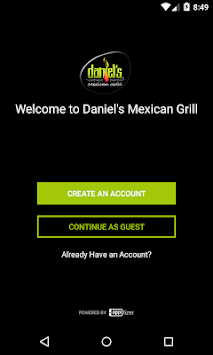 The “Daniel’s Mexican Grill” android app provides all the information you need to know before heading to us and deciding what food you want to try today. Browse through the categories and items to pick what you love to try out.